For the original article in Portuguese by Brunna Condini published by O Dia click here. It’s nothing new to see residents of Complexo do Alemão giving foreigners who visit their community a friendly welcome. The very name of the favela is a tribute to the Polish immigrant Leonard Kaczmarkiewicz, who in the 1920s bought the land around the Serra da Misericórdia in Rio’s North Zone, where the favela was established. Despite having been born in Poland, he became known as o Alemão, “the German,” because of his fair skin and blonde hair. In recent times, residents of Alemão have paid homage to some other foreigners: Cuban doctors. The departure of these professionals from the Mais Médicos (More Doctors) program has caused a wave of lament. Everyone under these doctors’ care has nothing but praise for them. “They provided care with kindness and listened to us carefully,” says Maria das Graças Silva Moreira, who shares that she was satisfied with the care that she, her three children, and mother received from Cuban doctor Ernesto Barcelos. Similar to Alemão, other underserved areas in Rio are also concerned about the departure of the doctors back to Cuba. 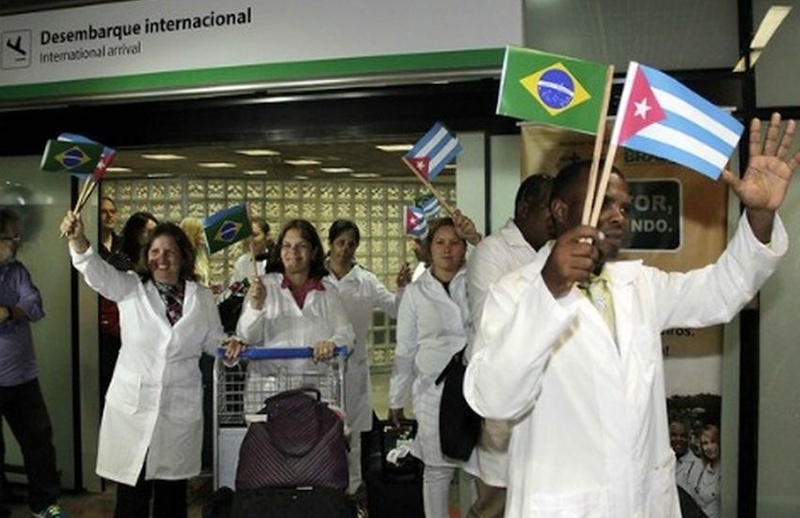 Havana announced the end of Cuba’s participation in the Máis Médicos program after president-elect Jair Bolsonaro (Social Liberal Party–PSL), questioned the qualifications of the Cuban doctors and stated that he would be making changes to the current agreement. In the city of Rio de Janeiro, 41 doctors had been working across 32 centers within the primary care network, such as Family Health Clinics. Retiree Maria dos Anjos Rocha, 68, was attended to by Dr. Dalia Porro, a doctor in the program, at the Herbert de Souza Family Clinic in Tomás Coelho, and says that gratitude is the word that sums up the service she received from the Cuban doctor. “I haven’t had a lot in my life—I’ve never had a doctor like her. Dr. Dalia discovered my diabetes, she treated my high blood pressure, she examined me from head to toe. She was an angel that came into my life. She was human and affectionate and treated me for more than three years,” Rocha recalls. Rocha recognizes that there are good health professionals available in Rio. “I’d give a 10 to our doctors, despite the difficulties, but I have to say that I’d give 100 to Dr. Dalia,” says the retiree, with humor and a hint of nostalgia. It’s not only patients who are mourning the exodus. Wagner de Souza, a 41-year-old health worker with 15 years experience in the field and vice president of the Community Health Agents Union of the Municipality of Rio de Janeiro (SINDACSRJ) shares that he has worked at the center known as the Alemão Municipal Health Center (now the Family Health Clinic) located in Complexo do Alemão, where he is also a resident, since the center’s inauguration. Souza received the support of the Cuban doctors for the three years that they were present there. “They were committed to the population, they were thorough, they brought a culture of believing in and practicing preventive medicine,” notes Souza. According to Souza, there was an excellent relationship between the Cuban doctors and healthcare professionals in Rio de Janeiro. Patients will be hardest hit by the end of the program. “We already have a shortage of doctors and now the Cubans are leaving. I am very grateful to the doctor who took care of me and my daughter,” says hairdresser Glória Alves da Silva, a resident of Alemão. As revealed in O Dia‘s “Informe do Dia” column, the state of Rio will lose a total of 224 Cuban doctors. One of the most affected regions is the Baixada Fluminense. The municipality of Duque de Caxias, for example, will lose eleven Cuban doctors who will no longer be part of the Mais Médicos program. The city estimates that 38,500 patients will be left without care. 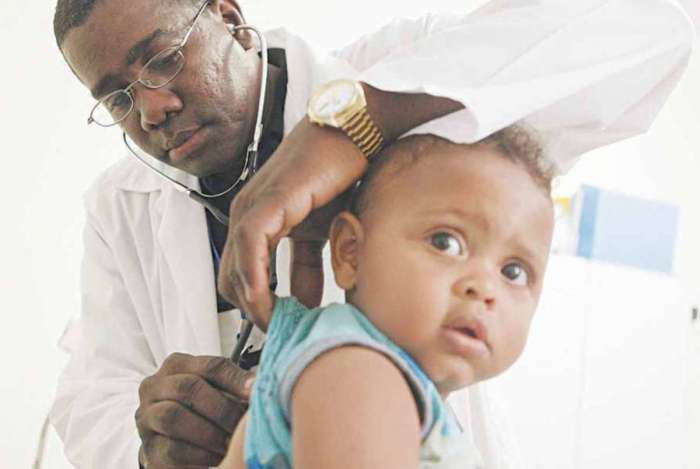 In Queimados, seven Cuban doctors treated 2,100 residents each month. Mayor Carlos Vilela (Brazilian Democratic Movement–MDB) is working with the federal Ministry of Health to try and find a solution to the problem created by the exit of these professionals. In the city of Rio, almost all of the health centers that received these healthcare professionals are located in favelas. 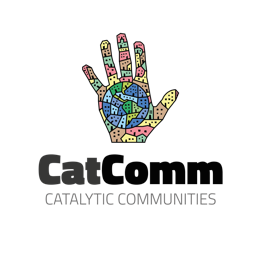 This article was written by Brunna Condini, and published on December 4, 2018.